The following Regulations, Orders, etc. 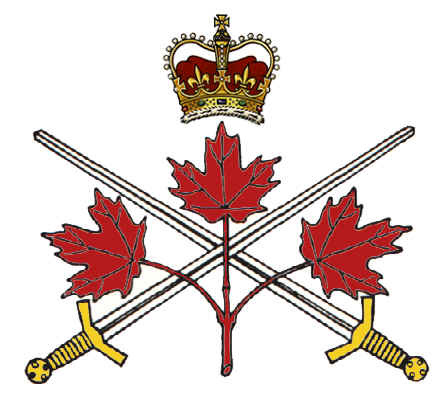 ; are promulgated and issued to the Canadian Militia by Order of the Minister of National Defence. BATTLE HONOURS -THE SOUTH AFRICAN WAR, 1899-1902. The Governor General's Body Guard "South Africa, 1900." The Princess Louise Dragoon Guards "South Africa, 1900." 1st Hussars "South Africa, 1900." 12th Manitoba Dragoons "South Africa, 1900." 17th Duke of York's Royal Canadian Hussars "South Africa, 1900." The Governor General's Foot Guards "South Africa, 1899-1900." The Canadian Grenadier Guards "South Africa, 1899-1900." The Queen's Own Rifles of Canada "South Africa, 1899-1900." The Halifax Rifles "South Africa, 1899-1900." The Victoria Rifles of Canada "South Africa, 1899-1900." The Black Watch (R.H.) of Canada "South Africa, 1899-1900." The Royal Rifles of Canada "South Africa, 1899-1900." The Royal Grenadiers "South Africa, 1899-1900." The Royal Hamilton Light Infantry "South Africa, 1900." The Princess of Wales' Own Regiment "South Africa, 1900." The Canadian Fusiliers (City of London Regiment) "South Africa, 1899.1900." The Middlesex Light Infantry "South Africa, 1899-1900." The Princess Louise Fusiliers "South Africa, 1899-1900." The York Regiment "South Africa, 1900." The Cumberland Highlanders "South Africa. 1899-1900." The Saint John Fusiliers "South Africa, 1899-1900, 1902"
The Prince Edward Island Highlanders "South Africa, 1900." The Ottawa Highlanders "South Africa, 1899-1900." The Winnipeg Rifles "South Africa, 1899-1900." 48th Highlanders of Canada "South Africa, 1899-1900." The British Columbia Regiment (Duke of Connaught's Own Rifles) "South Africa, 1899-1900."